We are having so many people having babies at my work, which is exciting and fun and I get to make baby quilts. Next up in the baby pool is a girl due this summer. I followed the instructions on the precut package and sewed all these honeycombs together. I just love how it turned out. Here is a close-up of the quilting. 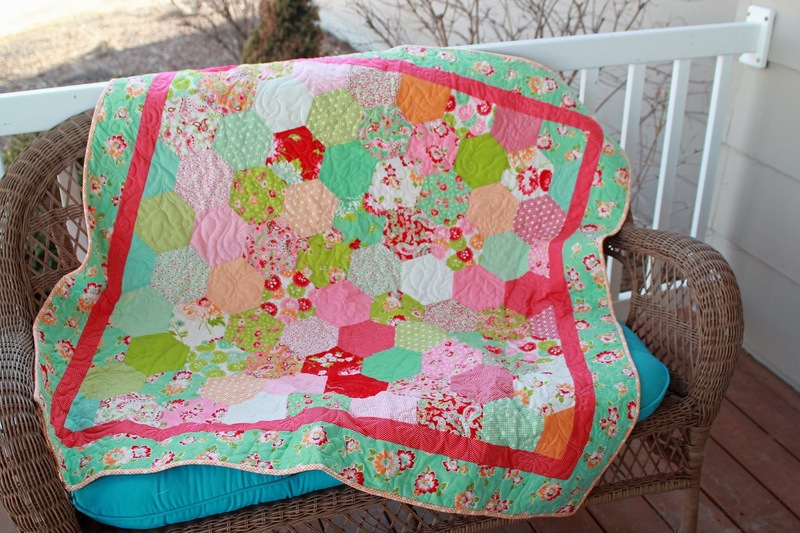 It was such a fun quilt to make, a bit challenging to make but beautiful results. I love these colors and the honeycomb pattern is really sweet. 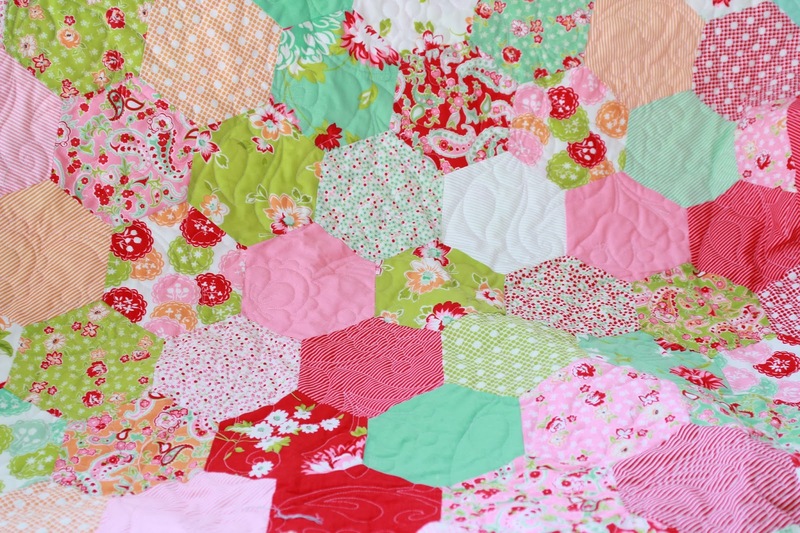 I should get on the quilting train- this just looks so fun! Thanks, it is fun to do. 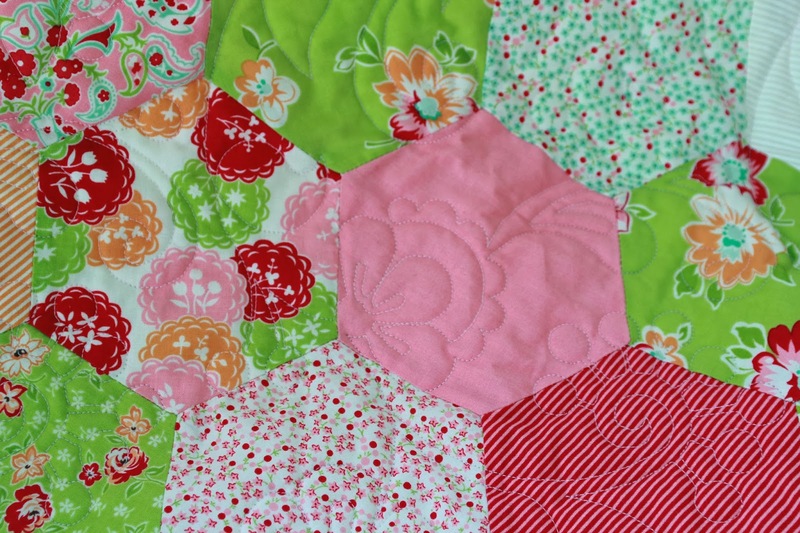 I like the combination of quilting and fashion sewing. What a great job! love the colors so pretty for a little girl. Thanks, Joen, I love these colors. I bought a set of those just to try. I think this is so pretty. Next girl baby might get a copy of this. Thanks, Beth, it really turned out pretty. The honeycombs were easier to sew than what I was expecting.